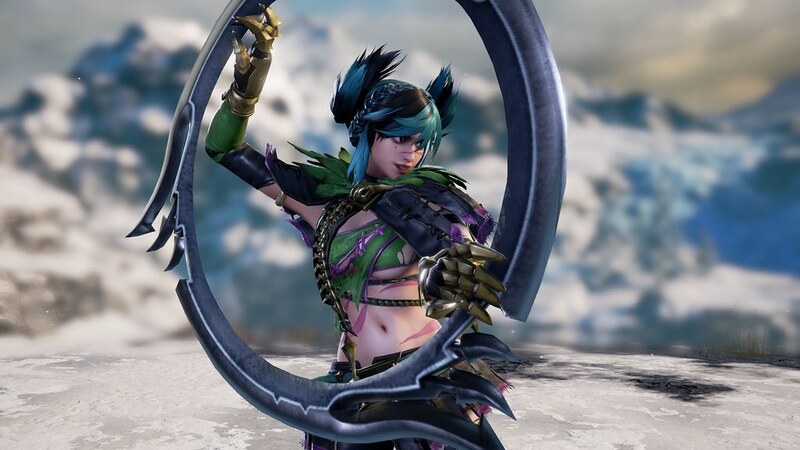 Bandai Namco Entertainment Europe has revealed a new story trailer and further information about upcoming title Soulcalibur VI; including the announcement of the second story mode: Libra of Soul, in-depth character creation, online gameplay and the first DLC character, Tira. Libra of Soul is the second story mode in Soulcalibur VI, which will accompany the previously revealed Chronicle of Souls mode. In this game mode players will be able to create their own custom fighter, using the in-depth character creation tools, before roaming the world in a quest to stop a new evil mastermind at work to gather the Soul Edge shards. Along the way, players will come up against both characters from across the main storyline, and other custom warriors created by the community, fighting in a variety of rule-specific showdowns which shape their own path. Players will also be able to customise their unique characters through thousands of different outfits and accessories, choosing from 16 races including ; human, lizard or even a reanimated skeleton, before customising the body type, facial features, hairstyle, armour and, of course weapons and fighting style! Also revealed today at Gamescom is Soulcalibur VI Online mode, allowing players to fight using their own custom characters or anyone from the roaster of fighters. Clashing weapons with other players from across the world in both casual or ranked matches. Additionally, Tira, the Bird of Death, is also announced as a bonus character for those who purchase the Season Pass. Tira will also be sold as stand-alone DLC. Tira, an expert wielder of her Ring Blade named Eiserne Drossel, fights using her own Dance of Death style. Trained by the mysterious Birds of Passage, a group of assassins, Tira abandoned the group after its leader went mad. Alone and angry, Tira, travels across the world slaughtering any that get in her way, taking great pleasure in the trail of blood in her wake.